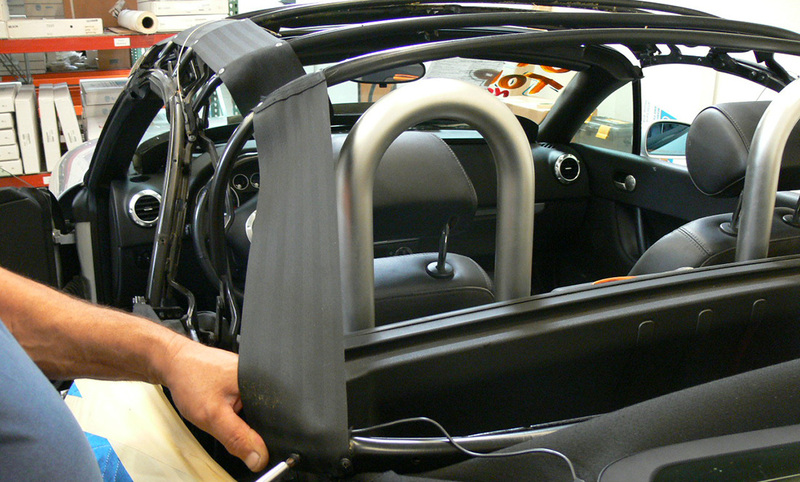 How to find an authorized professional installer for your new convertible top. We have experience with thousands of installers in the US. You can use our Locate an Installer feature from the main navigation menu above. If you used the locater and are still having trouble finding an installer, send an email to sales@autotopsdirect.com and we will assist you further. > Connecting a defroster wiring harness kit in a 1997-2002 Porsche Boxster glass window top. > How well does the 1997-2002 Porsche Boxster glass window upgrade fit into top boot.